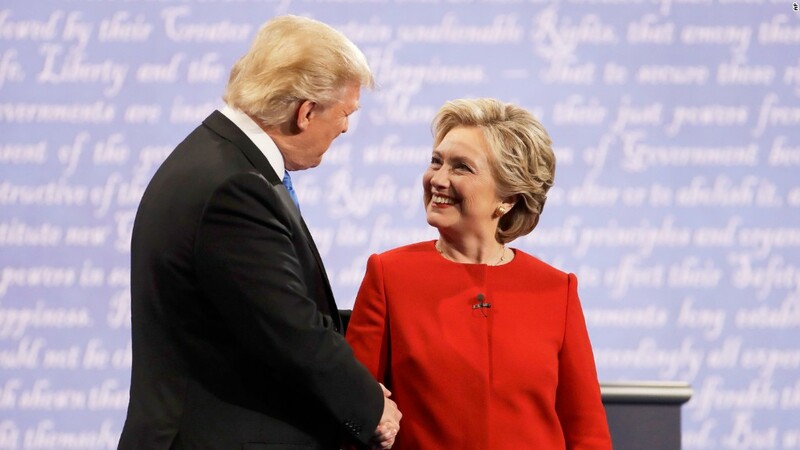 Monday night's Trump-Clinton match-up was the "most tweeted debate ever." That's according to Twitter, which crunched the numbers immediately following the debate. The raw number of tweets is not available, but Twitter said it exceeded the 10.3 million messages sent about 2012's first presidential debate. Social media use has grown in the past four years. Recent polls also showed heightened interest in the debates this year. Television ratings for the debate will be released on Tuesday. Early data indicates that the face-off was much higher rated than the first presidential debates in 2008 and 2012. Various live streams of the face-off on YouTube and Facebook drew several million additional viewers on Monday. On both Twitter and Facebook, Trump was a livelier subject than Clinton. Twitter said the "final share of conversation around the candidates on stage" was 62% for Trump and 38% for Clinton. On Facebook, the results were even more lopsided, with Trump earning 79% share of conversation and Clinton having the remaining 21%. Being talked about isn't necessarily a good thing for a candidate. Most commentators gave Clinton the edge over Trump after the debate. Still, the post-debate coverage on TV focused on Trump, partly because of surprising and confounding comments he made on stage. Facebook said the "top social moment" of the debate was when Trump said his strongest asset is his "temperament." The comment was met by laughs in the debate hall and snarky replies on social media. Twitter served as a giant spin room before, during and after Monday's debate. Many fact-checkers and Trump critics pointed to a Trump tweet from 2012 when the GOP nominee denied calling global warning a Chinese hoax. The four-year-old message suddenly became the most retweeted political tweet of the evening. It contradicted Trump's denial: In 2012, he said "the concept of global warming was created by and for the Chinese in order to make U.S. manufacturing non-competitive."